The all-conquering Angry Birds flock has updated its iPad app to bring the armageddon-wielding Mighty Eagle level cheat as an in-app purchase. Angry Birds HD 1.5 allows users to bring in the winged beast for 59p if they're unable to conquer those pesky snorting and snearing pigs in a particular level. The Mighty Eagle will replenish itself as you continue playing the game so you don't have to keep buying it every time you come unstuck. The cheat isn't the only addition to v1.5 of the £2.99 chart-topping application, there's also 15 new levels and a new Golden Egg soundboard to mess about with. 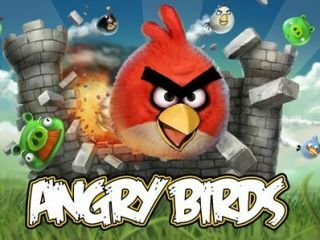 An update for iPad is likely to be the last act of business for developers Rovio following an extremely busy few months. The team has realeased Angry Birds Seasons, featuring both Halloween and Christmas-themed games for both Android and iPhone as well as churning out a version for the Nokia Ovi Store. 2011 will see the launch of plush toys, console games and perhaps even an animated movie.